Home	> 12. SHA’AR HA’ GEMUL/RAMBAN. FERRARA 1556. 12. SHA’AR HA’ GEMUL/RAMBAN. FERRARA 1556. Fundamental work concerning the concept of afterlife. 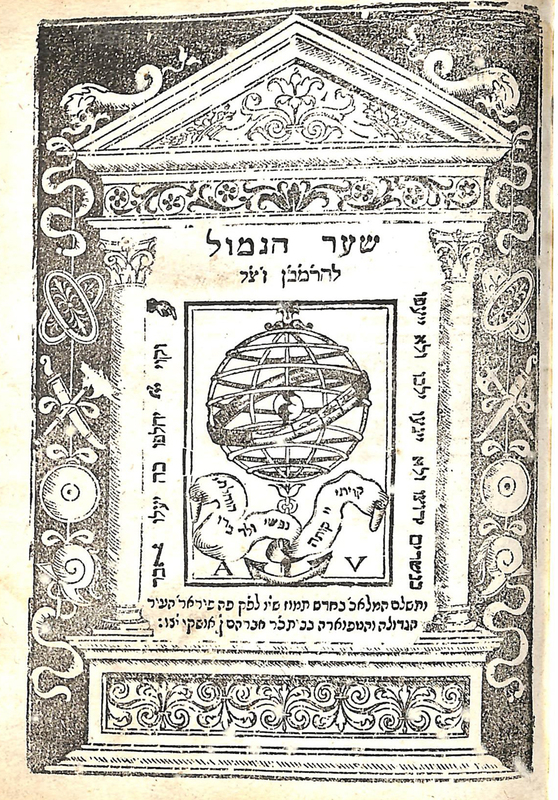 Many medieval scholars discussed this complex topic including the both the Rambam and the Ramban who strongly differed. On the final leaf the well-known letter from the Ramban to his son concerning the state of the Holy land is printed for the first time. 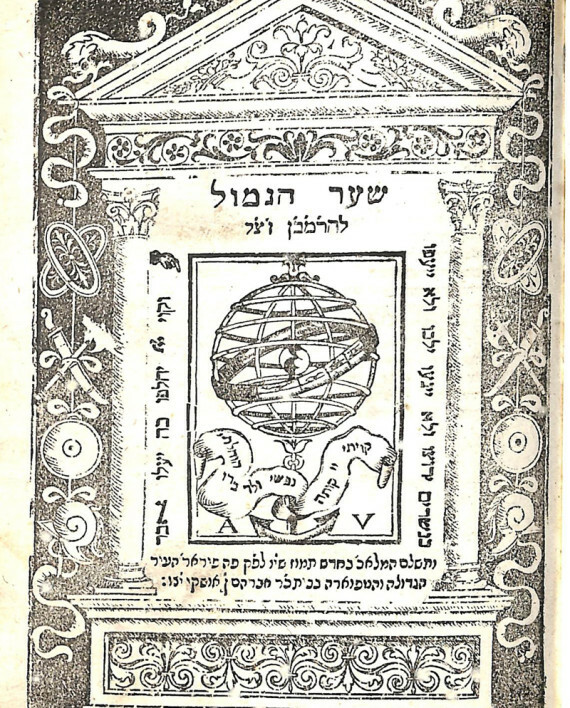 Title page and final page with printers stamp displaying a globe surrounded with the various zodiac symbols. Vinograd Ferrara 45. Abraham Ibn Isque press. 26 pages. 21 cm. Fair condition. Trace worming professionally restored with minor loss to text. Modern boards.